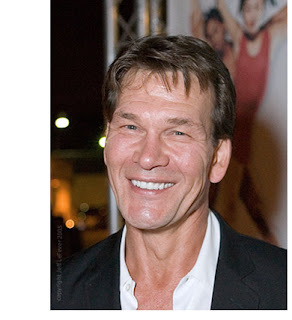 Patrick Swayze, better known for his role as Johnny in the movie Dirty Dancing and Sam in the movie Ghost lost his battle with pancreatic cancer on September 14, 2009 and passed away peacefully in his sleep with his family at his side. He was 57 years old. For some reason, his death really affected me. I was never really a 'big' fan like my sister and mother(who are both devastated), but ever since I heard of his passing, I have felt very sad and a little depressed. My heart and thoughts go out to his family. Rest in Peace Patrick Swayze. So sad. It seems like a great deal of famous people have passed away this year.